During Shanahan’s and President Trump’s speeches, however, they made it clear that the United States will seek to detect and destroy “any type of target,” “anywhere, anytime, anyplace,” either “before or after launch.” Coupled with numerous references to Russia’s and China’s evolving missile arsenals and advancements in hypersonic technology, this kind of rhetoric is wholly inconsistent with the MDR’s description of missile defense being directed solely against “rogue states.” It is also inconsistent with the more measured language of the National Security Strategy. Overall, the Trump Administration’s Missile Defense Review offers up a gamut of expensive, ineffective, and destabilizing solutions to problems that missile defense simply cannot solve. The scope of US missile defense should be limited to dealing with errant threats—such as an accidental or limited missile launch—and should not be intended to support a broader war-fighting posture. To that end, the MDR’s argument that “the United States will not accept any limitation or constraint” on its missile defense capabilities will only serve to raise tensions, further stimulate adversarial efforts to outmaneuver or outpace missile defenses, and undermine strategic stability. Click here for the full story, on the FAS website. 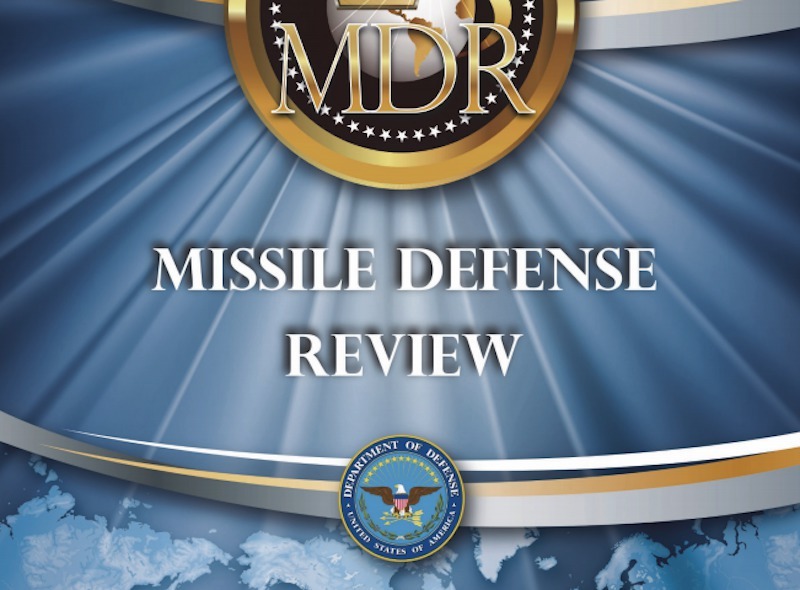 The Trump administration has today released its long-awaited Missile Defense Review (MDR). 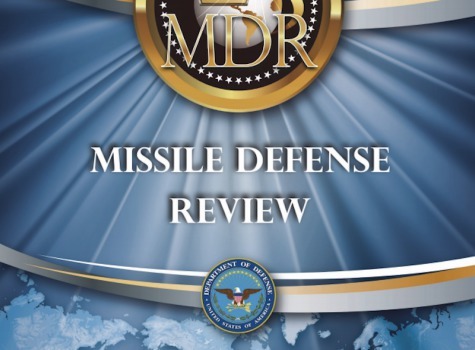 Initiated pursuant to both congressional and presidential direction, the report represents an attempt to adapt U.S. missile defense policy, posture, and programs to the strategic environment of great power competition. The United States and its allies face a more complex and challenging aerial threat environment than ever before. Emphasizing the utility of active and to some extent passive defenses against a wide spectrum of air and missile threats, the MDR points the way toward the ever-elusive vision of Integrated Air and Missile Defense (IAMD), while also acknowledging the relationship between military, nonproliferation, and diplomatic measures to stem and dissuade missile proliferation. President Trump’s remarks at the report’s release included the explicit ambition to defeat any missile fired at the United States, from any place, at any time. The actual programmatic muscle movements endorsed by the review, however, are comparatively modest. The Trump administration's long-awaited Missile Defense Review, which was released today, proposes a significant and costly expansion of the role and scope of U.S. missile defenses that is likely to exacerbate Russian and Chinese concerns about the threat to their strategic nuclear deterrents, undermine strategic stability, and further complicate the prospects for additional nuclear arms reductions. Of particular concern was President Donald Trump's statement during his remarks at the Pentagon that the goal of U.S. missile defenses is to "ensure we can detect and destroy any missile launched against the United States anywhere, anytime, anyplace." This would be a costly, unachievable, and destabilizing departure from longstanding policy and contradicts the text of the review, which limits U.S. homeland missiles defense to their traditional role of defending against limited attacks from North Korea or Iran. In addition, the review proposes "to further thicken defensive capabilities for the U.S. homeland" with the new Aegis SM-3 Block IIA interceptor, hundreds of which could eventually be deployed on land and at sea across the globe. The review expands the purpose of missile defense to defend against cruise and hypersonic missiles, proposes more aggressive defense against Russian and Chinese regional missile threats, alludes to the future development of airborne interceptors for boost-phase missile defense (i.e. when missiles are traveling at their slowest, right after launch), and proposes to augment the defense of the U.S. homeland with additional ground- and sea-based Aegis SM-3 Block IIA missile interceptors. Rather than rush to spend billions on a potentially dangerous expansion of U.S. missile defenses, a more disciplined approach would focus on improving the shortcomings that continue to plague current systems, such as GMD, and improve capabilities to detect and track missiles. Moreover, the United States should pursue wide-ranging dialogues with Russia and China on strategic stability, including the impact of missile defense, and foreswear particularly destabilizing steps, such as pursuing space-based interceptors and testing the SM-3 Block IIA against ICBMs.